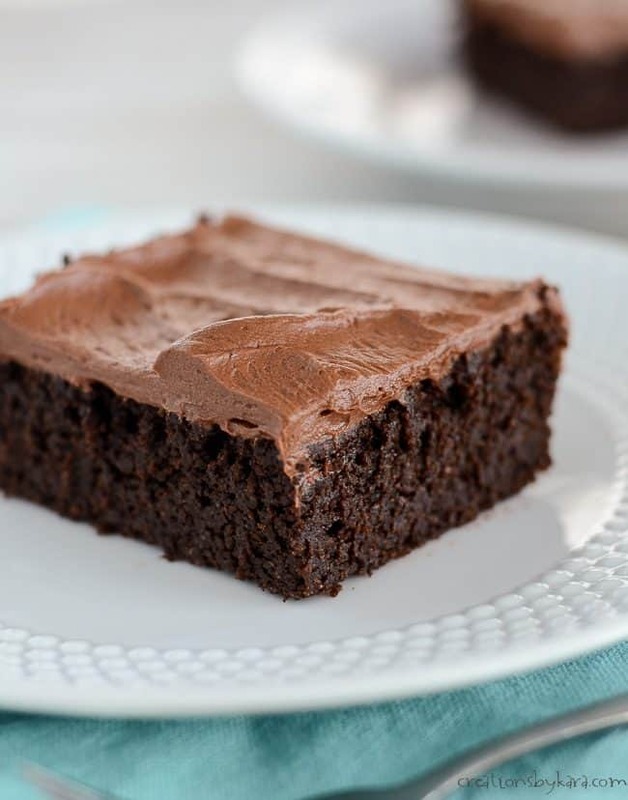 Chocolate Quinoa Cake – no one will guess that this decadent, fudgy cake is gluten free. It is simply scrumptious! If I’m going to eat cake, it has to be pretty amazing. This chocolate cake is a new favorite! I also love Chocolate Lover’s Bundt Cake, Carrot Cake with orange cream cheese frosting, and Raspberry Bundt Cake. I am not on a gluten free diet. But I was intrigued by this gluten free cake when Mel from Mel’s Kitchen Cafe (who is a fellow gluten lover) said that it was one of the best cakes she’d ever made. I just had to give it a try. Oh boy. It’s not just the best gluten free cake I’ve ever had, it’s one of the best chocolate cakes I’ve ever had! The first time I made it, I followed Mel’s recipe exactly. I loved the cake, but didn’t think the frosting was quite sweet enough to balance out the deep chocolate flavor of the cake. I’ve made it several times since then, and I finally perfected it for my family. You can definitely make this as a layer cake, but it is a bit more tricky, so when I’m making it for us, I just use a 9×13″ pan. If you want a layer cake, it works much better if you freeze the cakes before assembling them. This cake is dense, rich, and fudgy – almost like a brownie. It is actually delicious on its own, but it is simply divine topped with frosting. We love it with homemade chocolate frosting. Seriously, it’s so yummy no one will guess that you used quinoa instead of flour! Spray a 9×13″ pan with non-stick spray, set aside. Simmer quinoa and water in a saucepan for 15-20 minutes, or till quinoa is soft. Let cool to room temperature. Measure 2 cups, discard the rest. Combine the milk, eggs, and vanilla in a blender and process till just combined. Add the 2 cups of cooked quinoa and the butter. Process until very smooth. In a large mixing bowl, whisk together the sugar, cocoa, baking powder, and baking soda. Add the quinoa mixture and stir till well combined. Pour batter into the pan. Bake at 350° for about 35 minutes. Cake may crack on top, that’s fine. Cool completely, then frost with chocolate frosting. -You want your quinoa to be cooked till it is very soft. If you need to add more water, do it. You don’t want any crunchy bits of quinoa in your cake! -Make sure you blend the quinoa mixture till it is very smooth! It will take a few minutes, but it’s worth it. The second time I made it I didn’t blend it long enough, and the end result was not nearly as good. -You can make this as a layer cake in two 8 inch round pans. Lack of gluten makes the cake very fragile, so I’ve had the best luck freezing the cakes before I layer them. That way they don’t fall apart when I flip them onto the cake stand. I left instructions for a layer cake on the recipe card below. -Feel free to get creative. We used chocolate frosting, but cream cheese frosting would also be delicious. 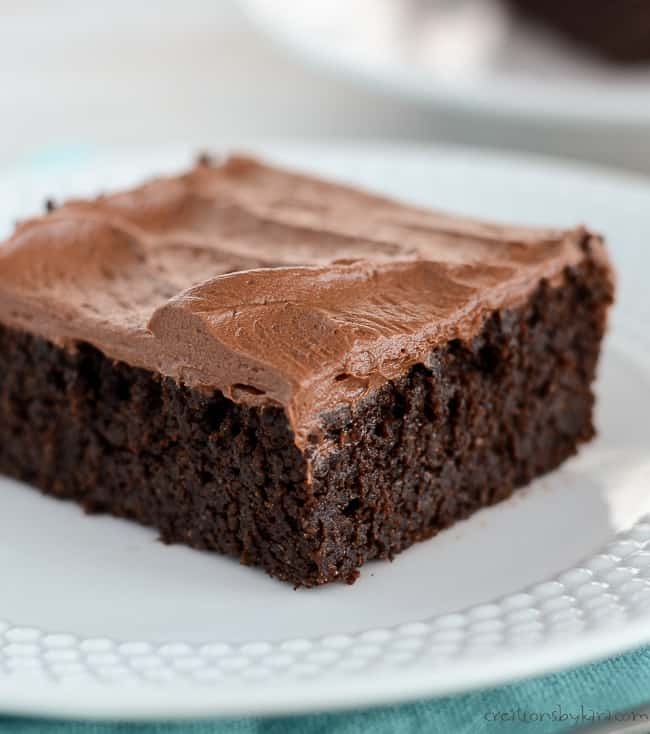 Every bite of this cake is moist and delicious, and pure chocolate bliss. I made this cake for my daughter in law who is gluten intolerant. She loved it so much that she asked if I could make it for the wedding. I am not a cake decorator, so my good friend Kaelyn did the decorating. We were originally just going to have it be the top of the cake, but we ended up making it as a side cake. Isn’t it gorgeous? I actually ended up making two batches. Quinoa cake doesn’t rise as tall, so we needed four layers to make it as tall as a regular two layer cake. Kaelyn filled it with buttercream and covered it with ganache and strawberries. It was heavenly! This cake keeps really well. My son and daughter in law had leftover wedding cake that they ate for a week after the reception, and it was still tasty. They stored it covered in the refrigerator. Give this cake a try! 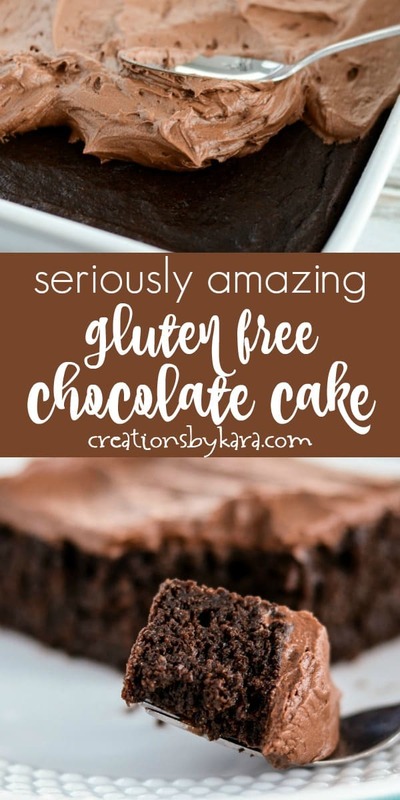 Even if you aren’t on a gluten restricted diet, I bet you will love it. We sure do! 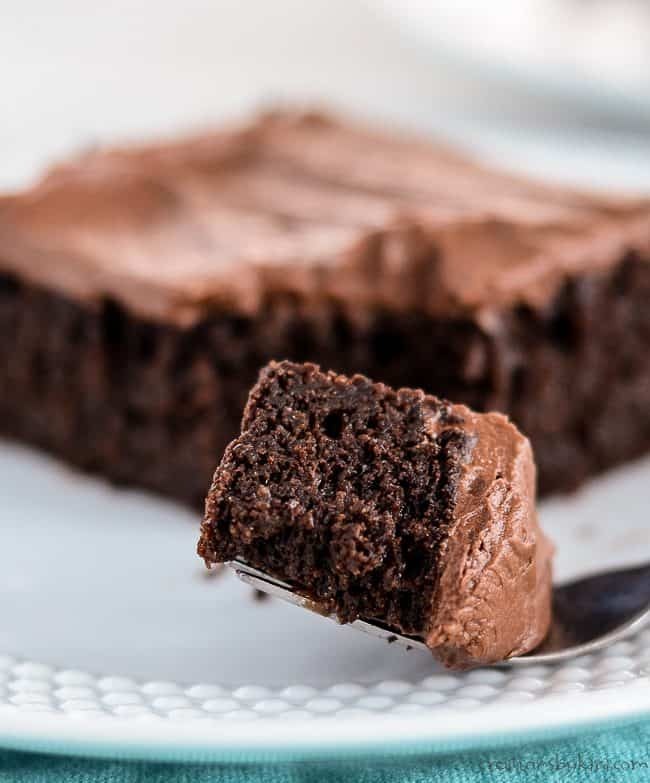 Dense, chocolatey cake topped with homemade chocolate frosting. Made with quinoa instead of flour. Preheat your oven to 350°. Spray a 9x13" pan with non-stick spray and set aside. Bring quinoa and water to boil in a large saucepan. Reduce heat to low and simmer for 15-20 minutes, or till quinoa is soft. Let cool to room temperature. Measure 2 cups, discard the rest. Combine the milk, eggs, and vanilla in a blender and process till just combined. Add the 2 cups of cooked quinoa and the melted butter. Process until very smooth. Pour batter into the pan. Bake for about 35 minutes. For frosting, beat all ingredients till smooth, adding enough milk to achieve a spreadable consistency. 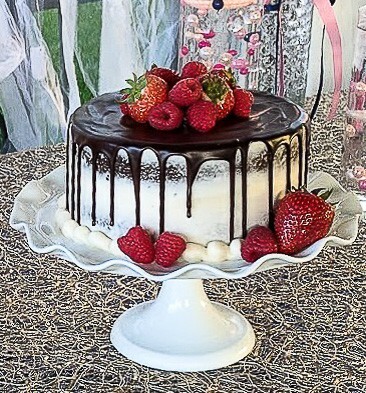 Two to three hours before serving, place one frozen layer on a cake stand. Frost the top. Place the other frozen cake on top, frost sides and top. Let cake sit at room temperature till thawed. You can use chocolate frosting, or buttercream for the filling and sides and chocolate ganache for the topping. If you use my frosting, you will need 1 1/2 - 2 recipes to cover the whole cake. 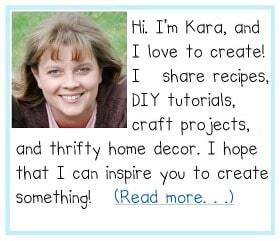 To see all my cake recipes, click HERE. What a delicious and unique cake recipe! 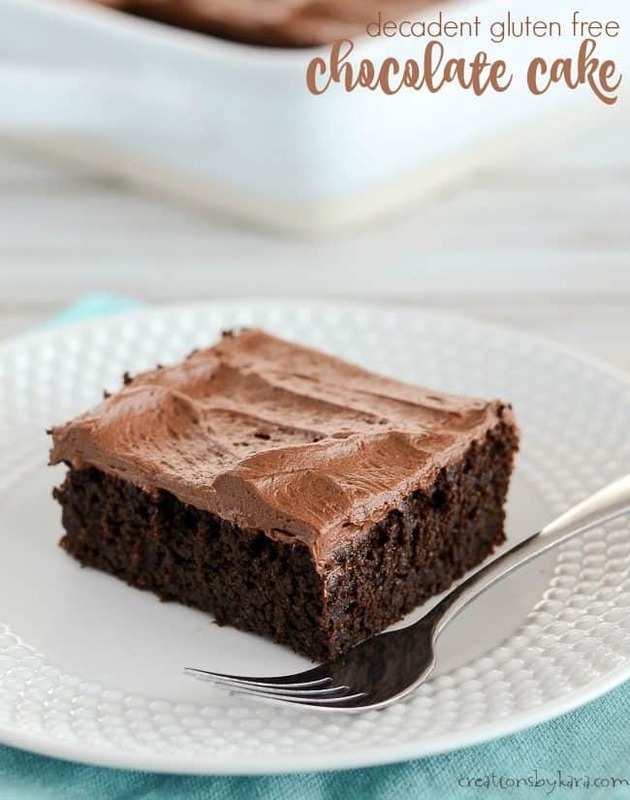 I am definitely a chocolate lover and so are my kids so this is a must try! I love the healthy kick to this cake – and SO delicious! Wow! I am loving this cake. Chocolate lover here!